A colorless flammable liquid used as a solvent in nail polish. 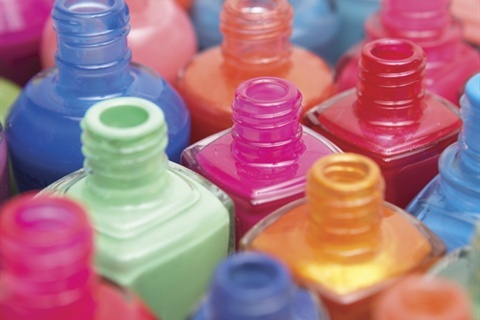 California nail technicians recently receive a letter from a group of professional nail polish manufacturers describing what toluene, a solvent use in nail polish, is and what health effects it can have if user is overexposed. More than 30,000 California salons have received warning signs for employees on toluene exposure under a directive from the state attorney general’s office.